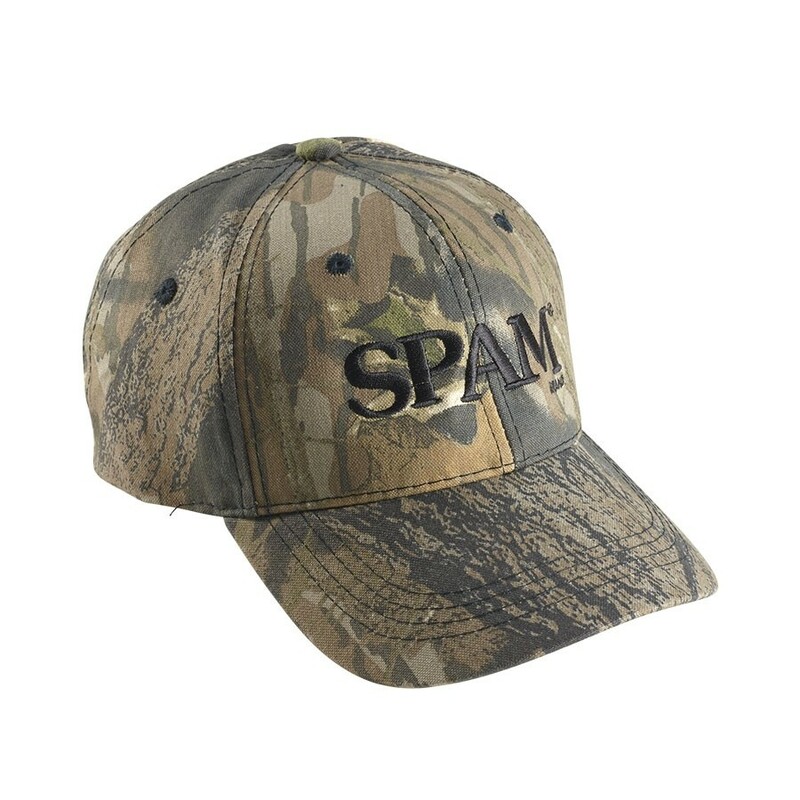 A must for the outdoor SPAM® Brand lover in your life. Camouflaged baseball style cap with SPAM® Brand embroidered in black. One size fits most. Adjustable back closure.